The votes are in; the southern portion of North Highline says it wants to annex to Burien (56 percent yes, as of the latest count). Myriad details have to be sorted out in the next few months before the Burien City Council officially adopts an ordinance annexing the new area to the city. It might be early spring before the council is ready to officially approve the annexation. In the meantime, nothing changes as far as public safety, sewer or water service. During a special meeting of the city council Monday night, there were already hints of just how complicated working out all the details will be. For example, as vacancies arise on boards and commissions, should citizens of the soon-to be annexed area be eligible for appointment? Or do they have to wait until annexation is official to apply for a seat? City Manager Mike Martin said he is already working on the steps leading up to the annexation, including modifying contracts with police and fire. “We need a little bit of time, then we will name the date that we plan to bring the new area into the city,” said Martin. But Martin already had some good news for residents of the unincorporated area, it looks like the county parks, threatened with closure because of King County budget cuts, will remain open and maintained while the annexation is made official. Annexation will be a topic on the city council agenda throughout the next few months, giving incoming citizens a chance to comments as the process moves along. Council members encouraged citizens to be active. We still need to get a handle on costs and revenue, put it all into the hopper and see what comes out the other end,” said Councilmember Gordon Shaw. “Burien already has a vision; we have to see how to accommodate the new ideas into this vision and bring them all together,” said Shaw. 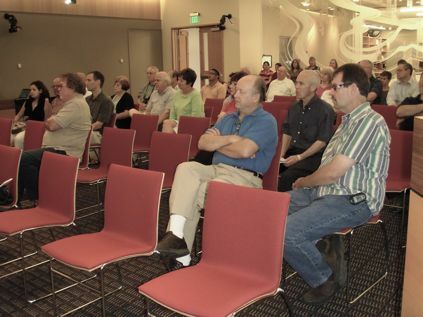 He reminded the crowd gathered for the special meeting that about 40 percent of the voters opposed the annexation. “We don’t want them to be disgruntled citizens of Burien,” he said. Mayor Joan McGilton encouraged residents to stay involved as details including sewer and water are worked out. 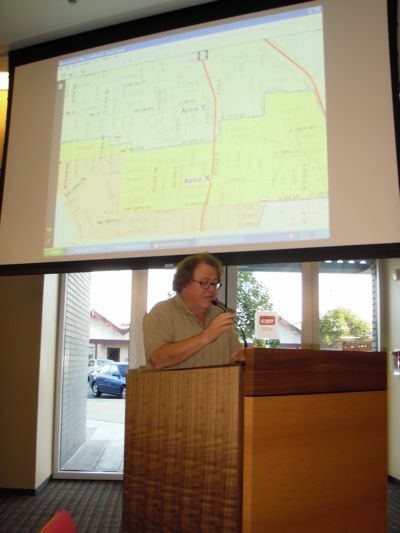 Citizens like North Highline Unincorporated Area Council member Ray Helms, who will be annexed into the city, said councilmembers can count on seeing him. “Welcome to Burien,” said Ed Dacy (above), a Burien resident, active on the Parks and Recreation Commission. 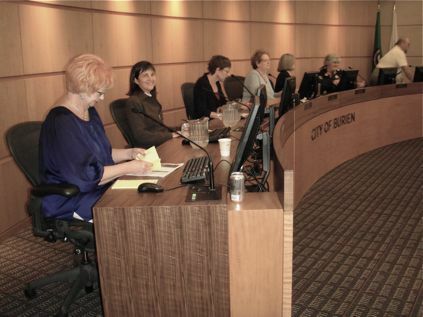 You can find out more about Burien city government at burienwa.gov. Great news that King County won’t be closing the parks in the annexation area. They may not have remained open had the majority of people not voted to annex to Burien.